Unless otherwise stated, Sway owns the intellectual property and rights to all content and material on the Websites. Subject to the license below, all intellectual property rights are reserved. Redistribution of content of the Websites, unless content is specifically and expressly made available for redistribution. From time to time, the Websites will utilize various plugins or widgets to allow sharing of content via social media channels, email or other methods. Use of these plugins or widgets does not constitute any waiver of Sway’s intellectual property rights. Such use is a limited license to republish the content, with full credit to Sway. You must not conduct any systematic or automated data collection activities, including, but not limited to scraping, data mining, data extraction or data harvesting on or in relation to the Websites without Sway’s express written permission. You must not use the Websites for any third-party marketing without Sway’s express written permission. From time to time, the Websites participate in affiliate marketing. This means that when you use an affiliate link to make a purchase, Sway will receive a commission. All efforts are made to ensure that affiliate links are disclosed in accordance with the FTC. Sway is a participant in the Amazon Services LLC Associates Program, an affiliate advertising program designed to provide a means for sites to earn advertising fees by advertising and linking to amazon.com. Unless otherwise noted, the design, content and all components of the Websites are copyrights owned by Sway or third parties and are protected by United States and international copyright laws. From time to time, Sway publishes content submitted by third parties for publication on the Websites. All submissions are governed by the terms located here. By submitting the material for publication on the Websites, Sway has received a non-exclusive license to display the content. Sways makes no claims to ownership of these copyrights and uses its best efforts to ensure proper attribution of all submitted content. Secret to Success is Support is a registered trademark of Sway and Sway, Massive Sway, Bloggy Boot Camp, and Women Get Social are unregistered service marks of Sway and are protected by United States trademark law. Sway’s trademarks, servicemarks and trade dress may not be used in connection with any product or service that is not Sway’s, in any manner likely to cause confusion among consumers or in any manner that disparages or discredits Sway. From time to time, the Websites will legally utilize trademarks owned by third parties related to Sway’s services. These trademarks are the respective property of their owners. 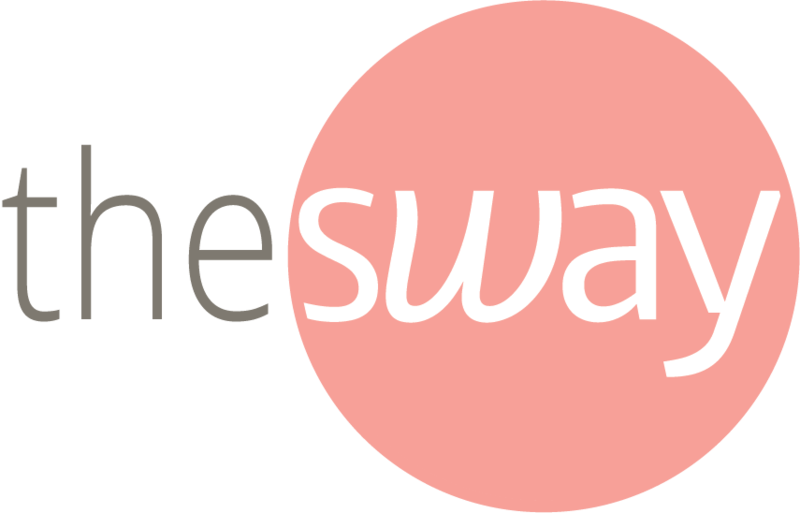 Sway accepts submissions from its users for publication on the Websites. All submissions are goverened by the terms located here. Users submitting content represent and warrant that the User has the full right to grant Sway the license to display and promote the submitted content. If you dispute a user’s right to submit content that has been published on the Websites, please contact swaylegal@swaygroupllc.com with details regarding your claim. You grant Sway a worldwide, irrevocable, non-exclusive, royalty-free license to use, reproduce, adapt, publish, translate and distribute any content you contribute to the Websites. This includes, but is not limited to, text, images, audio material, video material and audio-visual material. This license extends to all known and future media. You also grant Sway the right to sub-license these rights and the right to bring an action for infringement of these rights. Any content you contribute to the site, including, but not limited to text, images, audio material, video material and audio-visual material, must not be illegal or unlawful, may not infringe on any third-party’s legal rights, and must not be capable of giving rise to legal action whether against you or Sway or a third party. Sway reserves the right to edit or remove: (i) any material submitted to the Websites; (ii) stored on Sway’s servers; or, (iii) hosted or published on the Websites. Sway takes no responsibility and assumes no liability for any content posted by you or any third party. If you send Sway an email, register to use the Websites or provide your email to Sway in any other way, you consent to receive communications from Sway electronically. You agree that all legal notices provided via electronic means from Sway satisfy any requirement for written notice. Prior to engaging in any commercial transactions with any third parties discovered through or linked on the Websites, you must complete any necessary investigation or due diligence. If there is a dispute for any commercial transactions with a third party discovered through or linked on the Websites, you expressly hold Sway harmless from any and all liability in any dispute. The Websites are provided on an “as is” and “as available” basis without any representations or warranties, expressed or implied. Sway makes no representations or warranties in relation to the Websites or the information and materials provided therein. Sway makes no warranty the Websites will meet your requirements; will be available uninterrupted; timely and free of viruses or bugs; or represents the full functionality, accuracy, and reliability of the Websites. Sway is not responsible to you for the loss of any content or material uploaded or transmitted through the Websites. SWAY WILL NOT BE LIABILE FOR ANY CONSEQUENTIAL, INCIDENTAL, INDIRECT, EXEMPLARY, PUNITIVE OR SPECIAL DAMAGES OF ANY KIND, HOWEVER CAUSED, INCLUDING LOSS OF PROFITS, REVENUE, DATA OR USE, INCURRED BY YOU, WHETHER UNDER THEORY OF CONTRACT, TORT (INCLUDING NEGLIGENCE), WARRANTY OR OTHERWISE, EVEN IF THE OTHER PARTY HAS BEEN ADVISED OF THE POSSIBILITY OF SUCH DAMAGES. From time to time, the Websites may discuss topics of a legal nature. This information is not advice and should not be treated as legal advice. The legal information provided on the Websites is provided “as is” without any representations or warranties, express or implied. Sway makes no representations or warranties in relation to the legal information on the Websites. You must not rely on the information on the Websites as an alternative to advice from your attorney or professional legal services provider. There is no attorney-client relationship created from the publication of legal information on the Websites. You should never delay seeking legal advice, disregard legal advice or discontinue legal services as a result of any information provided on the Websites. From time to time, the Websites may discuss topics related to health, fitness, nutrition or medicine. This information is not advice and should not be treated as medical advice. The medical information provided on the Websites is provided “as is” without any representations or warranties, express or implied. Sway makes no representations or warranties in relation to the medical information on the Websites. You must not rely on the information on the Websites as an alternative to advice from your medical professional or healthcare provider. You should never delay seeking medical advice, disregard medical advice or discontinue medical treatment as a result of any information provided on the Websites.